Capt. Bruce Alcock was born and raised on the east coast of Florida and has fished these waters for over 35 years. 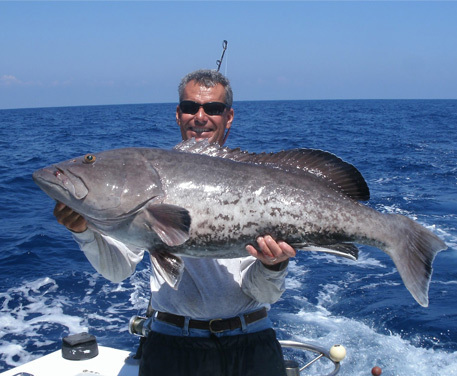 He is a full time US Coast Guard Licensed Captain and recognized as top in his field with over 25 years of charter fishing experience in the Sebastian, Florida area. Sebastian is a 90 minute drive from Orlando, West Palm Beach and Daytona. Capt. 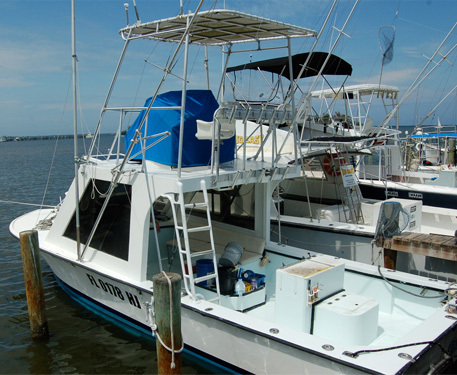 Bruce and his 33' custom sport fisherman INCENTIVE are a Sebastian phenomenon. Bruce draws a regular crowd of onlookers to the docks at Captain Hiram's Resort in the late afternoon just to catch a glimpse of the BIG ONES he and his clients consistently bring in from offshore. "I work on a charter boat up north,so I know how it's done Capt. Bruce does a fantastic job He's obviously been fishing a long time he knows his stuff, I'll be happy to re-book with him next year. He put in extra time and does a terrific job filletting the catch...............thanks again,stay out of the hot sun"
"My family has been fishing with Captain Bruce every year that we are in the Sebastian area for over 20 years. He has never failed to put us on fish. We always have a great time and the service is top-notch. Don't waste your time or money with anyone else, go straight to the best." "Always a good trip with Capt. Bruce...best boat I've ever been on"
Need more information or ready to book a charter? Fill out the form below and we will get in touch with you!